My Ultimate Jig Knobs are now optimized for Metric thread sizes. I've modified all the dimensions for metric. Overall size is now 25mm x 25mm and the hex collar is 17mm. The rear hex socket is 13mm. 4 Thread Sizes Available. A blank version is included for modelling your own threads. 17mm Hex Collar. To see the SAE version in use check out the original Ultimate Jig Knob page. Technical Specs. You can get the files here: on my Thingiverse page. 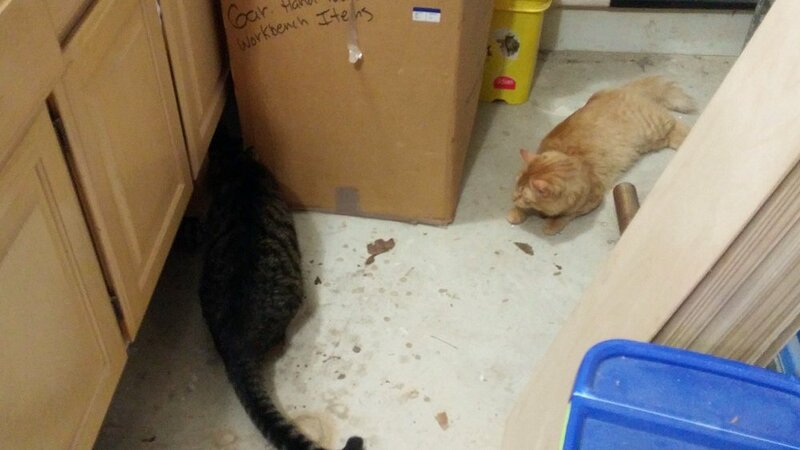 Starsky and Apollo hunt for a cricket in the garage.